USB multi-I/O module for the small budget. 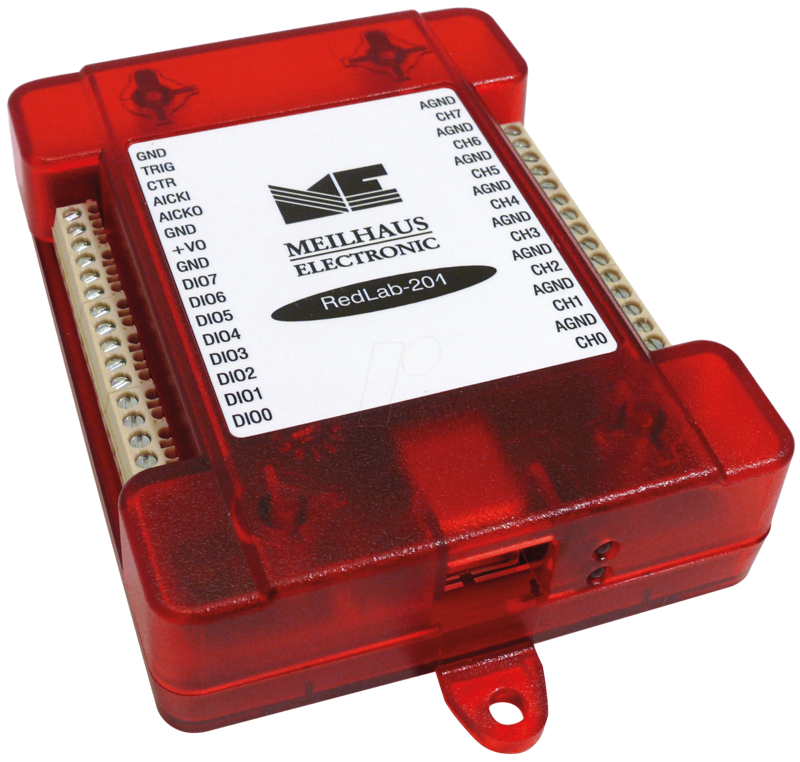 The RedLab-200 series USB DAQ modules are extremely compact and offer powerful measurement and control functions at a very low price. The modules have 8 analog inputs and 8 discrete (bitwise configurable) digital-I/O lines with TTL level. Easy and flexible wiring with screw terminals. Versatile support software for Windows included! 12 bit A/D conversion, total sampling rate depending on model: Up to 100 kS/s or 500 kS/S. 8 TTL digital-I/O lines (discrete/bitwise configurable). 32 bit event counter up to 1 MHz. A/D timer input/output for synchronization. For USB 2.0 fullspeed. USB-powered.